The only dark spot against the backdrop of the pastoral picture of her life was the king’s favorite, Madame Du Barry. The former modist and prostitute, who, in some way, had fallen into the royal mistresses, was now in charge of everything at Versailles, like at home. 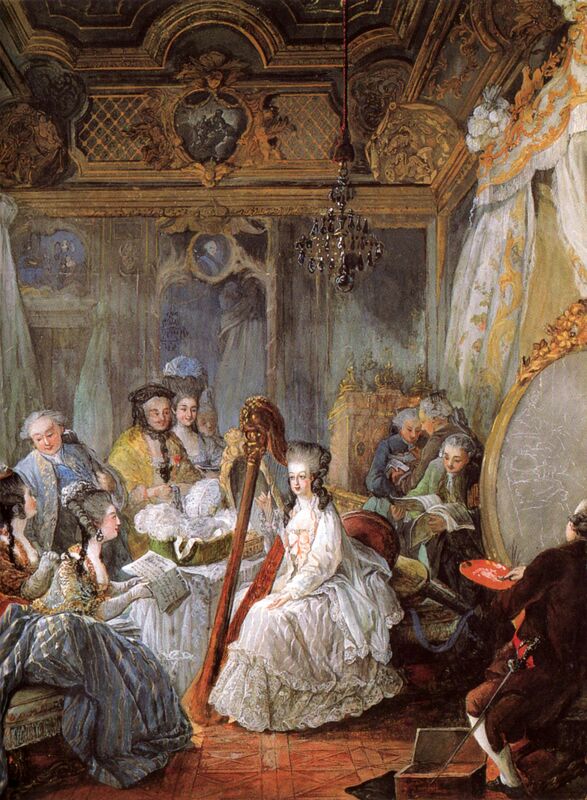 The daughter of the Habsburgs could not bear the thought of this, and Maria-Antoinette did not want to talk to Dubarri at all, violating the laws of court etiquette. On holidays and receptions, the Dauphin made a demonstrative appearance that she did not see the favorite at close range. The king at first was amused, but then the endless complaints of Dubarri did their job, and the monarch began to express his displeasure to the grandson’s wife. 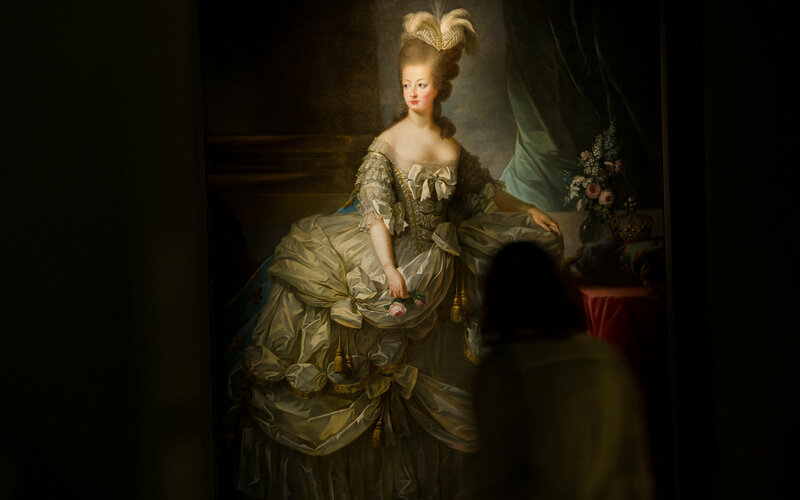 However, Maria Antoinette did not want to give up, and at Versailles she smelled like a split between the nobility and the war, because both women had their followers. The Empress Maria Theresa, the mother of the Dauphin, sent endless letters to her daughter asking him to talk and talk with Dubarri, because the position of Marie Antoinette herself was rather fragile until the heir to the throne appeared. “Until you give birth, do not dare show your temper,” – wrote Maria Theresa. And the princess gave way. Once, at the reception, she, passing by Dubarri, uttered one single sentence: “Is not it really that Versailles is too crowded today?” And that was all. But DuParri and the King were quite satisfied with this. There is evidence that this phrase has remained the only one. Maria-Antoinette never spoke to a favorite of Louis XV. From this episode it becomes clear that the Dauphin had a proud and stubborn temper. She did not want to put up with the foundations of the French court. She was annoyed by the fact that on the morning dress in her bedroom all the women’s half of Versailles is gathered and for the privilege of wearing her shirt is a real battle. She was nervous that she could not choose her outfit, that every day she was dressed like a doll, that there were countless number of courtiers around and there was no possibility of seclusion. She fights against the Versailles rules with all her might, most of the courtiers are opposed to her, she brings people closer, often of a common origin, but interesting and able to entertain her, refuses the boredom of palace ceremonies. And spends, spends money without an account. In 1774, Louis XV died of smallpox. The husband of Marie Antoinette becomes King Louis XVI under the approving cries of the French people. 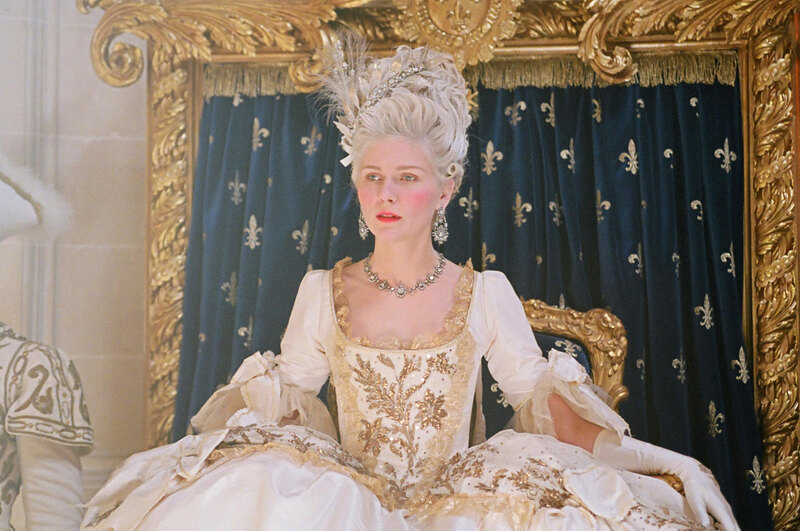 From now on the Queen is a full-fledged and sole proprietor in Versailles, and she is immediately freed from the intrusive care of the court ladies, destroys all the foundations of the palace life, starts her own order, becomes the legislator of new fashion. One overshadowed by a carefree existence – her marriage is still not consummated. King Louis, already lacking in an ardent temper, suffered from phimosis as well. This illness did not allow him to become a real husband of the princess, to whom he was sincerely attached. Few knew about this problem, and everyone wondered why Maria Antoinette had not yet conceived an heir. All, and friends, and enemies, were sure that the problem was in the queen. Jokes and pamphlets, fashionable at that time, without hiding, went around Paris. In them, the queen was accused of frigidity and coldness, inability to rekindle the passion in the king. These rumors also reached Austria. Maria Theresa writes dreadful letters to her daughters with insistent demands, in every way, to enchant, captivate the king, for without the heir the future of Marie Antoinette is very unreliable. But the queen herself did not understand what the problem was, why the husband, who was lying with her in the same bed, had not yet made her his real wife. She did everything possible for this! Finally, Louis agreed to see a doctor. The doctor recommended a small operation, and after a while the marriage finally came about almost seven years after the wedding. And soon the queen became pregnant. To the disappointment of the people of France, a girl was born, Maria Teresa Charlotte. Only the king was pleased and beamed with pride. In gratitude he gave his wife Maly Trianon – a small palace near Versailles. The queen practically moved there, surrounded herself with pets. Balls followed the holidays and masquerades, champagne flowed the river, money was spent without an account. The king increased the content of his wife, but this still was not enough. For example, several thousand wax candles were burned overnight, while the cost of one candle equaled the earnings of a simple worker for a week. It is not known whether Marie-Antoinette had lovers, there is no exact evidence of this. Her favorite for many years was counted Frazen, a Swedish diplomat, and for the rest of her life Countess de Polignac remained a beloved girl, a noblewoman of low birth, but beloved by the queen for her cheerful disposition and the ability to entertain herself and entertain Marie Antoinette. So, in the company of friends and favorites, the days of the queen passed. The king hardly ever visited Trianon. He was inclined to a calm, measured life and regime, and his wife heard music and laughter from morning till morning. Also, Marie Antoinette introduced the fashion to the card game and lost huge amounts overnight. The king looked through his fingers at the “prank” of his beloved wife – they did not interfere with each other, and everyone was happy. In 1781, at the royal couple finally appeared long-awaited heir to the throne, Louis-Joseph, and in 1785 – his brother, Louis-Charles. A year later the youngest girl, Sophia, was born, but she did not live for a year and died of tuberculosis, much to her parents’ grief. Marie Antoinette settled down, began to pay more attention to her husband and children, dress modestly, spend less money on jewelry. However, its reputation among the people was severely undermined by past life, as well as by a story called the Queen’s necklace business, in which Marie Antoinette became only a victim of circumstances. But the people, driven by poverty and hunger to despair, did not forget this history and did not forgive it.